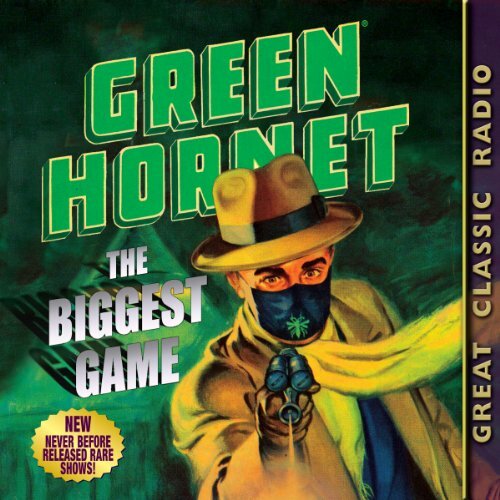 Showing results by narrator "Gilbert Shea"
The Green Hornet and Kato return in this exciting collection of digitally remastered and restored radio adventures, working outside the law to battle kidnappers, rackets, fraud, and other sinister and nefarious enterprises of the criminal underworld. Featured in these programs is Al Hodge, the first actor to play the role of millionaire newspaperman Britt Reid, alias The Green Hornet. Join Hodge as he hunts the biggest of all game: public enemies that even the G-Men cannot reach.